Just four months after the previous budget the Chancellor, Giddy Gideon George (perhaps even Gordon) Osborne gave the "best Labour budget in years." 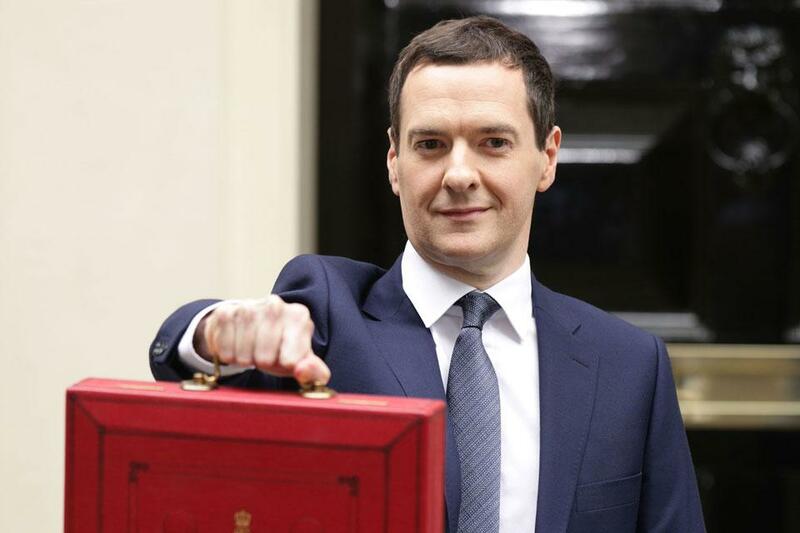 His second budget of the year and his first without the troublesome Liberal Democrats getting in his way. The budget deficit will be eliminated by 2018/19 rather than 2017/18 levelling out the harsh cuts planned in the previous budget. Reducing the income threshold for tax credits and the benefits cap to £20,000 (£23,000 in London) from £26,000. He also cut housing benefit for the under 21s. The BBC will take on funding responsibility for free TV licences for the over-75s – something that could cost it up to £650 million (roughly the same as BBC2’s annual budget). A relaxation of the Sunday trading laws. Most of the key budget policies are trailed heavily in the weeks before the budget, but the Chancellor usually saves one big headline policy for the day – and this was it. The Conservative government will introduce a £9 an hour "National Living Wage" by 2020, something no one was expecting – a bit like a majority Tory government. Perhaps not the best look IDS. In their manifesto, the Labour party pledged to increase the minimum wage to £8 by 2019, so this announcement no doubt gave them a shock. This is clear attempt by the Tories to continue to reinvent themselves as the party of working people – while the Labour party remain leaderless and seemingly aimless. This policy is not without criticism - despite the massive cheer from Work and Pensions secretary Iain Duncan Smith. The living wage will only apply to over 25s and with other cuts to housing benefit and tax credits the budget will probably leave young people worse off. The continued strengthening of the so-called "Northern Powerhouse" was also announced. As well as Manchester, the Chancellor said that Liverpool, Sheffield and Leeds were all exploring the possibility of introducing metro-mayors for their regions in order to benefit from new governing powers. Devolution of fire services, land and children services were promised to cities as well as the possibility of controlling Sunday trading laws. Also announced was the increase of the personal allowance to £11,000 by next April – a continuation of a key Lib Dem policy from the last government. The government will also increase NHS spending by £8bn by 2020 – another Lib Dem policy. To the delight of Conservative backbenchers, Osborne promised to meet the UK's NATO commitment of 2% of GDP on defence spending – something that wasn't in the Tory manifesto, instead taken from UKIP's. George Osborne fulfilled his 2007 promise on inheritance tax, increasing the threshold to £1 million – taking the majority of people out of the tax altogether. This is a good idea, inheritance tax is a deeply illiberal policy – effectively a double tax on income that has already been subject to income tax and National Insurance while a person is alive. Finally, the Chancellor is reducing the impact of non-dom status – stealing a very popular policy from Ed Miliband. Although, not abolishing it completely he removed "permanent" non-dom status, meaning if people start living in the UK again they will have to pay full UK taxes. The first Tory budget since 1996 has blind-sided Labour, by giving a budget by Gordon Brown could have given – the introduction of a better living wage than Labour promised themselves, as well as cherry-picking (some call it stealing George) some of the best policies from other opposition parties. However, it is young people that miss out most – the new living wage only starts at 25, housing benefit and tax credits have been cut and maintenance grants have been ended entirely. An opposition party now needs to take on the mantle of young people, to defend them against these cuts – the Lib Dems are in the position to do this (as long as people can forgive them for tuition fees). Has George Osborne stolen most of his budget from other parties?